Grand Royal Villa III villa - Sharm el Sheikh , Egypt . Self Catering Family Holidays and Short Breaks in Sharm el Sheikh. What we think of Grand Royal Villa III villa in Sharm el Sheikh:From their coveted location on the shores of Egypt’s glorious Red Sea, these sumptuous villas boast all the advantages of a private holiday home yet with outstanding resort and spa facilities on hand into the bargain. 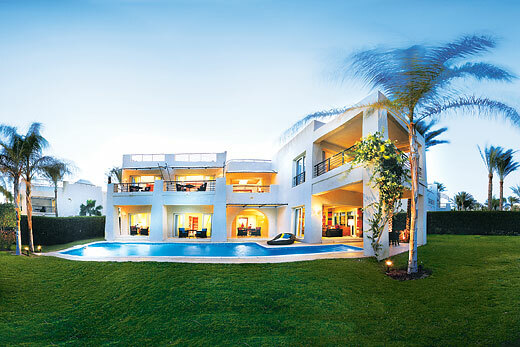 With fabulous sea views, a lovely private pool and striking, superbly appointed interiors, the Grand Rotana Villas are an ideal choice for a truly relaxing holiday year-round. Please note that properties may vary in design and layout, but all remain of a luxury standard. Holiday offers and last minute deals in Egypt from only £3990 - Don't miss out book your holiday with uk-holiday-offers.co.uk today!